Why the Behind the Back or neck curls so effective? Also called as Behind the neck or Behind the Back Wrist Curls, it is a standing exercise to build the flexors of the wrist and forearms. A peak contraction is very important as forearm muscles are difficult to build since they are continually stimulated in all upper body exercise. Purpose - To Build muscle mass in the inner forearms. This exercise is done seated using a heavy barbell. Its a power move and you should go as high as possible. 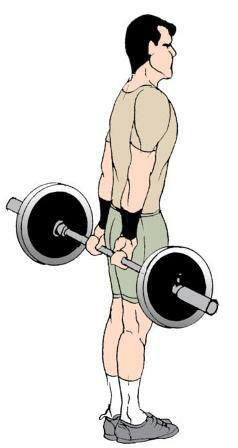 Grab a heavy barbell behind the back, level with your thighs with an overhand grip or pick it up from a rack with an overhand grip, hands shoulder width apart. Curl your wrist as high as you can. Start eh curling with your fingers if you want strong hands and fingers too. 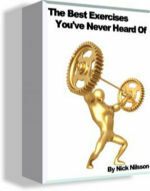 Maintain the peak contraction for at least 1-2 seconds for maximum muscle stimulation. 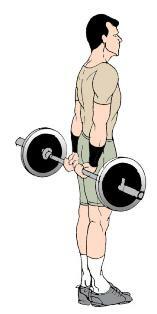 Now let the barbell roll down out of your palms feeling a full forearm extension.